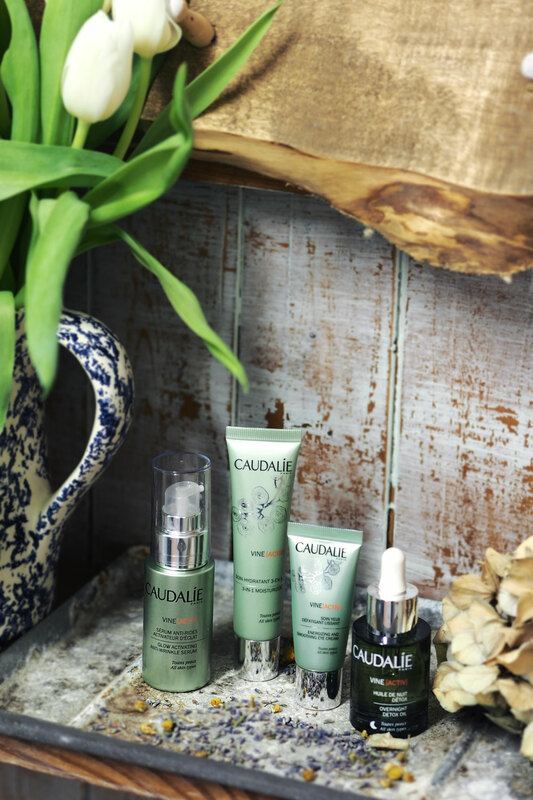 Caudalie always delivers beautiful skincare, that actually lives up to it’s promises. I have used this brand for over 7 years now and whenever I get stuck in a skincare rut, I know I can turn to their products and find something that will work for my skin. 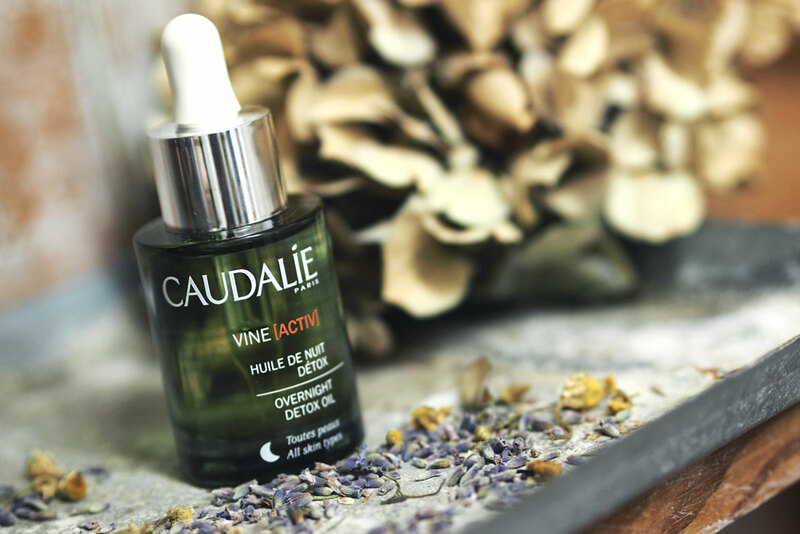 You may remember the Polyphenol C15 range, which I wrote about here a few years ago, well the new Vine [Activ] range is replacing this. 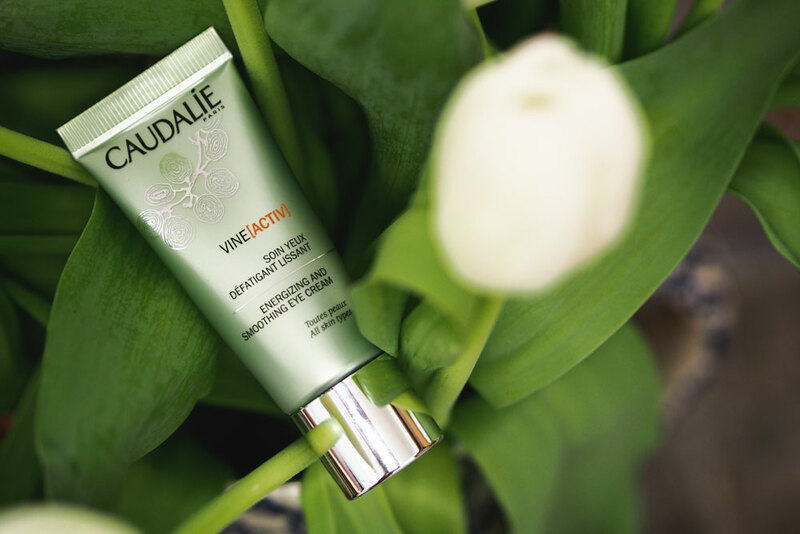 Designed for those of us who are super active, and always on the go, whom wish to maintain a smooth and healthy glowing complexion. Do you ever feel overwhelmed by life? Got a really busy work and social diary? I hear you. I’m in that game and my skin is the one that gives in first when I need to slow down. Can we really keep up this 100 mile an hour life while retaining all the radiance of our youth? Caudalie says we can. So firstly, why is the old range being replaced? A new and improved patent, the anti cell burn-out complex. 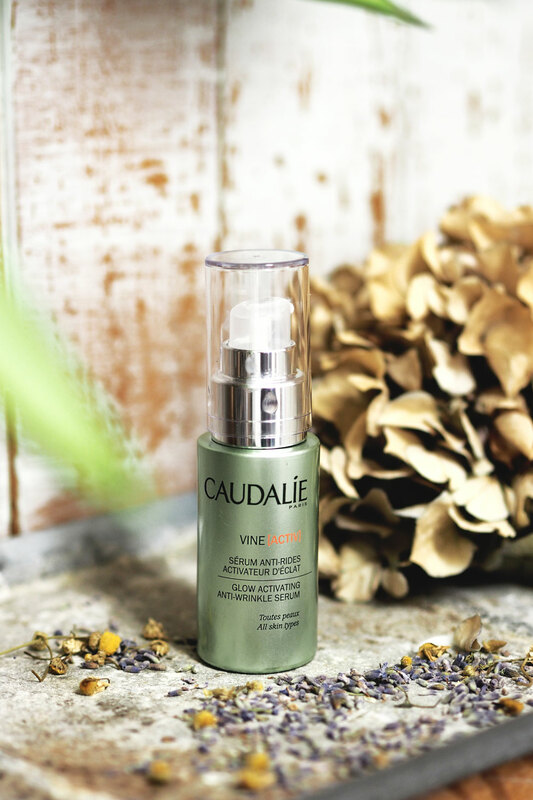 Without getting into the science of it it basically contains the usual grape seed polyphenols that Caudalie are known for, stabilised Vitamin E & C, and the exciting bit, spruce extract – a super strong anti oxidant. I went to the launch and saw the results they have documented and it is pretty impressive stuff. 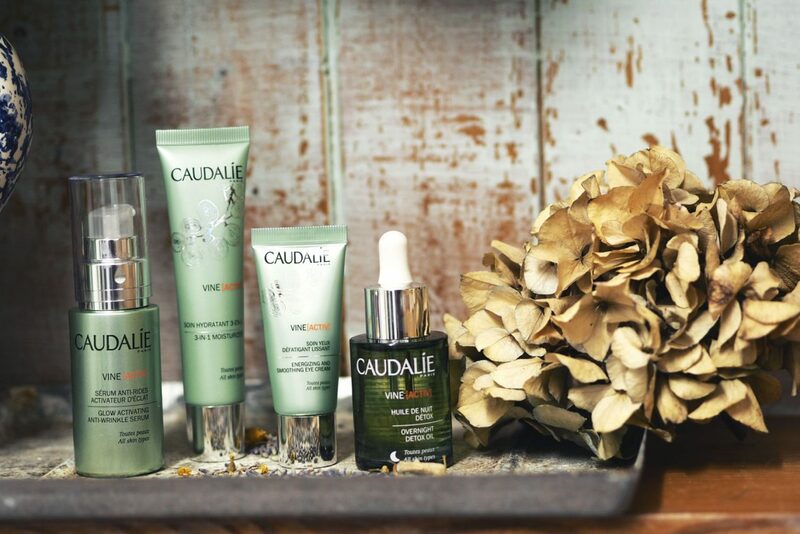 Our cells die before they even reach the surface of our skin, and this complex helps to prevent the cellular death, meaning our skin looks brighter and firmer for longer. Science and nature fascinate me, which is why I love this brand – they can genuinely back up their research. I have been using this for around 3 or 4 days now, and although I cannot give a full review to say whether or not it actually makes a significant difference to my skin, I thought I would share my first impressions. There is a moisturiser, a serum, an eye cream and a facial oil. I adore the serum, it has the same texture and consistency of the radiance serum. It feels really lightweight and just like water, so your skin soaks it right up. It’s not sticky at all and also smells gorgeous. You can use this both day and night. 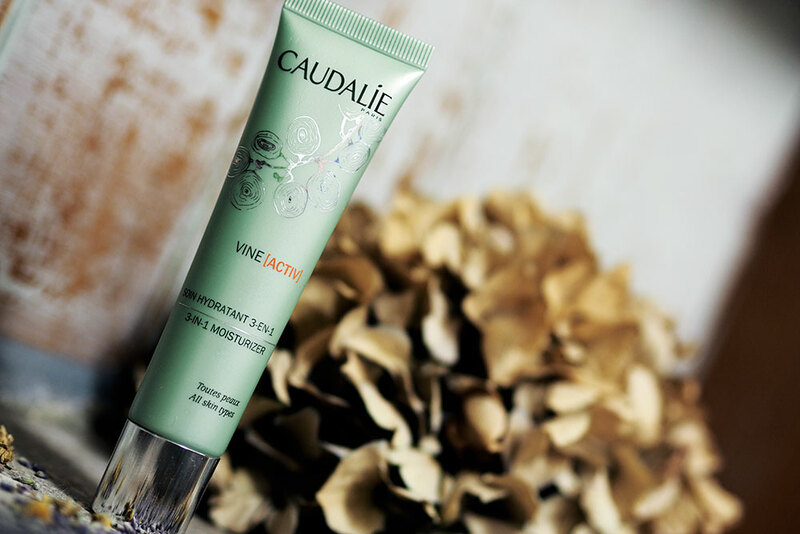 The moisturiser is designed to restore a healthy glow, prevent wrinkles and most interestingly, it limits the amount of pollutant particles deposited on the skin. I learnt at the launch that some pollution particles are so small, they are small enough for our skin to be absorbed. How gross is that? Dirt floating around outside, can actually get into our skin. This freaks me out. The moisturiser therefore leaves a fine protective veil over the surface of your skin, preventing these particles to break the barrier, and as soon as you wash your face, you wash away all of the grime and your skin has been protected. Cool hey? Some people do not care for eye creams, but I use them religiously. It isn’t heavy or greasy and again sinks right into your skin. It is supposed to be good for dark circles, but as I don’t really suffer from them *touches wood* I cannot vouch for how good this cream is for that. My favourite of the bunch, is the Overnight Detox Oil. Out of all of the products, this is the one that I would say I have seen instant results with. My skin always looks over tired and a little bit bleurgh, when I use this it is like a wake up call and in the morning my skin looks really fresh. It has a really spa like smell to it, which I find really relaxing and thus enjoy using it at bedtime. I tend to use this alone as I don’t feel a need to use my moisturiser as well. So there are my first impressions, have you had chance to try this range yet? Does it sound like something that could work for you?